TekForce releases his first single from his album Tek Support! 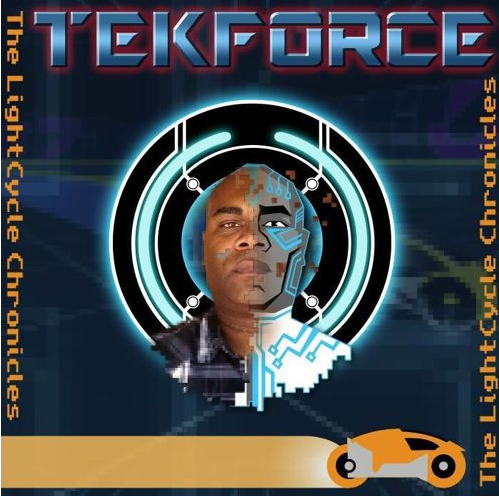 Tek Support is the brainchild of TekForce, and is the amalgamation of his love for Hip Hop, Anime and Video Games. Each song is considered a part of the overall story of him, some fantasy, some reality, ALL show who he is. As a lover of Hip Hop, he was influenced by seminal Hip Hop groups like A Tribe Called Quest, Gangstarr, and the Wu-Tang Clan. Growing up in such a definitive time for music, it helped shape and define who he was as a person. Coupled with the aforementioned groups, he also developed a love of Anime, old school systems like the NES, SNES, and of course the SEGA Genesis! The New Game + Remix tells a bit of the story of how TekForce was as a kid. He may not have had a lot of friends, but games like Final Fantasy showed him how to keep moving, and things will work out! He’s joined by the Forever Famicom team (Mega Ran & K-Murdock) to help him expand on the original song, and take it to new heights.